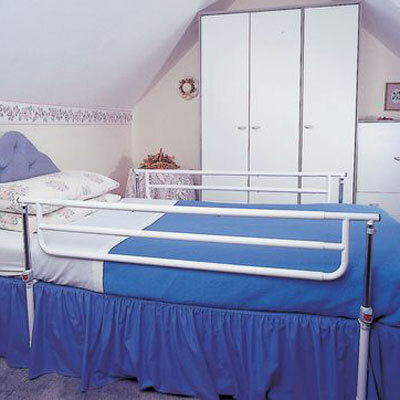 These Castle Adjustable Cot Sides are suitable for both single and double beds. They can adjust their length. Can be dismantled for storage. These Castle Adjustable Cot Sides are suitable for both single and double beds. They can adjust their length. Can be dismantled for storage. Height above bed base 14.5 to 23".